This attractive scale with a curved surface is the updated Version 2 of the very popular Truweigh scale. It has a circular display with a blue back light and a full covering clear detachable lid/tray. 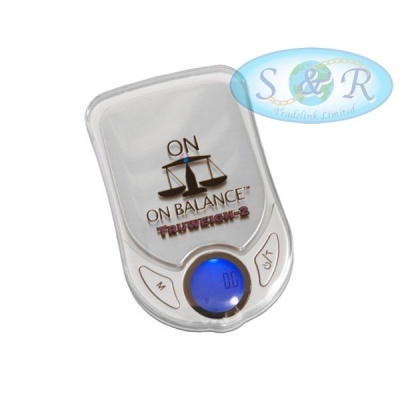 This lightweight precision scale has 4 modes and a stainless steel platform and comes with its own individual pouch. 600g x 0.1g.